Responsive, creative emails that work, based on years of experience… You are in great hands. The emails created can be either styled by yourself with our range of powerful templates or we can project manage and build using one of our creative tools. Return on email campaigns vary greatly and are based very much on numerous factors. But while no one company is alike there are benchmarks that can be used as a good practice. We have updated these for 2017. We take a pragmatic view on Email marketing and prices are affordable for the start-up all the way through to the large blue chip clients. Our platform we can completely handle for you or if you have the resources you can use the drop and drag editor to manage and build the emails yourselves. Please see our range of Emails built for awareness, acquisition, sales and retention. Email research consistently shows that many companies aren’t taking advantage of automated email acquisition campaigns. Combined with rich data from other sources Email marketing can achieve your best return on any marketing initiative. Rich data can be used for behavioral retargeting from sources such as Social Media, Website and Email to give rich revenue streams in both B2B and B2C environments. A prospect who has abandoned a basket in B2C or a contact who has not completed a download on the Website in B2B provides the perfect excuse to legitimately contact the prospect. Our technology platform includes over 280 attributes that are used in the development of campaigns for our clients resulting in great ROI. We believe that to be really effective in Email Marketing you must really engage in a combination of behavioral science/phycology and combine with customer centred design along the customer journeys. Landing page design takes experience and what we do is produce industry leading landing page experiences. Increasingly these are mobile based and include video ‘poppets’ for b2c brands and white paper snippets for b2b. Landing page design is critical in continuing the consumer journey integrating the offers, producing all-important feedback and measurement. Preference centres are a great way to reduce Email subscribers unsubscribes rates. They are usually placed as a link just before the unsubscribe link at the bottom of the email helping to retain the potential prospect loss. Start creating effective email campaigns today! You’ll have a dedicated account manager on hand to support you and your clients, which will allow everyone to maximise the impact of their email marketing by using our industry-leading Email Maturity Model framework. Our industry-leading Email Maturity model is at the heart of everything we do. We use this in line with our best practice framework to ensure that you can improve the sophistication of the email campaigns you’re creating and sending. A customer’s success is our success, which is why we’re focused on helping to improve results, rather than selling a solution and leaving the client to work out how best to use it in their own environment. We’re on hand to ensure that you have all the necessary skills to help your teams and end clients understand the value and the potential of using our digital marketing suite to help improve their digital marketing results. Behavioural Targeting feature collects real time data to trigger targeted emails that can help recover 13% in lost sales revenue and up to 20% of abandoned baskets. However big your database is, we can upload it into our Email platform with custom fields and segmentations of your choosing. Leave it to us! 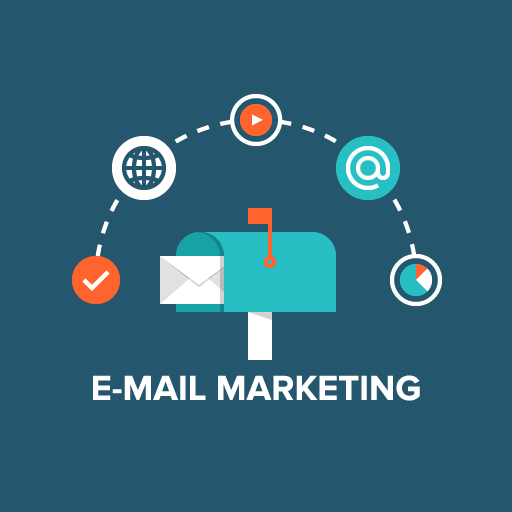 We understand Email Marketing can be a long process, from planning to the sending of the email. We manage everything on our end with maximum efficiency and performance so you don’t have to. Or if you would like to take control of your campaigns, our Email platform makes it effortless to create stunning campaigns with high click-through rates. Automation makes it easier than ever to email new subscribers without barely having to lift a finger. Detailed reports enable you to analyse your Email Marketing efforts and pinpoint areas for improvement. Great for showing other colleagues. See the power of Email Marketing!